Today we drove all the way out to Perris for a race. Its about an hour and 15 minutes from our house. The only resemblance to Paris is its pronunciation! Anyway, here are some pics from today. 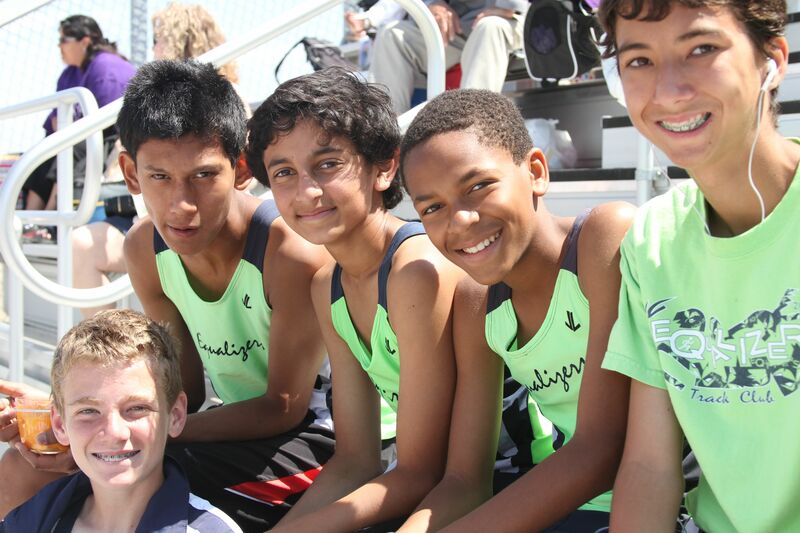 The first one is Nikhil and his buddies. 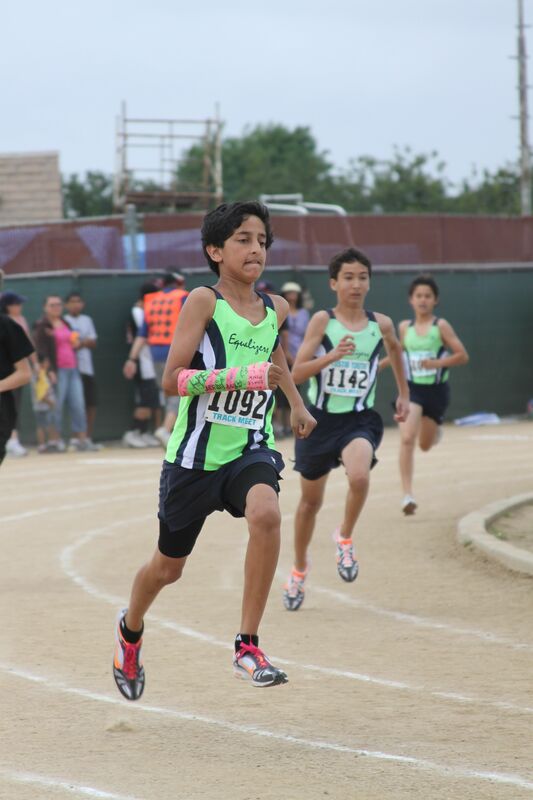 This was Nikhil’s first race after missing the last couple of weeks due to illness. He came back strong. 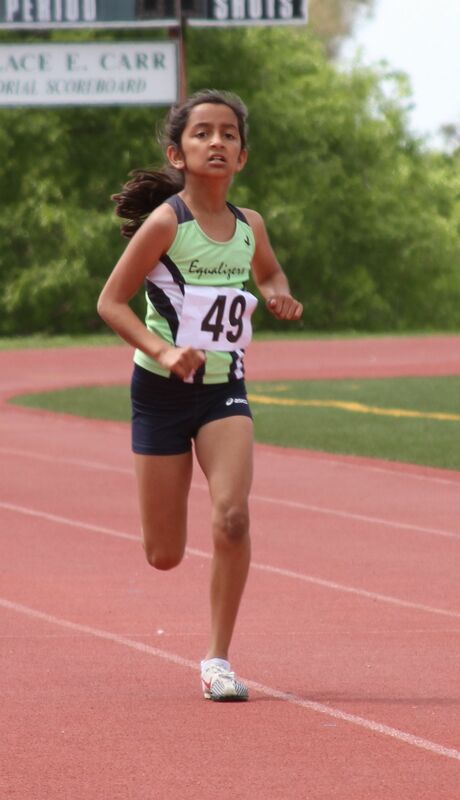 Annika also ran the 1500. She started out strong but ran out of gas at the end! 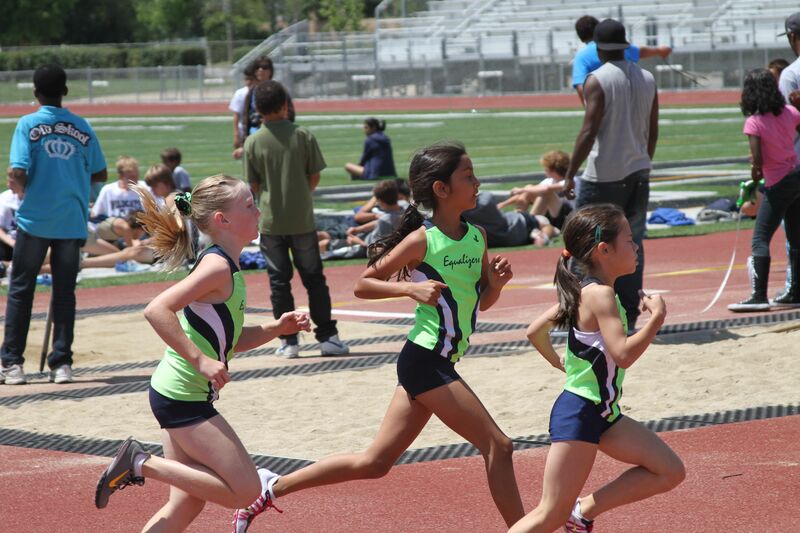 Yesterday, I drove down to Escondido for a track meet for Annika. 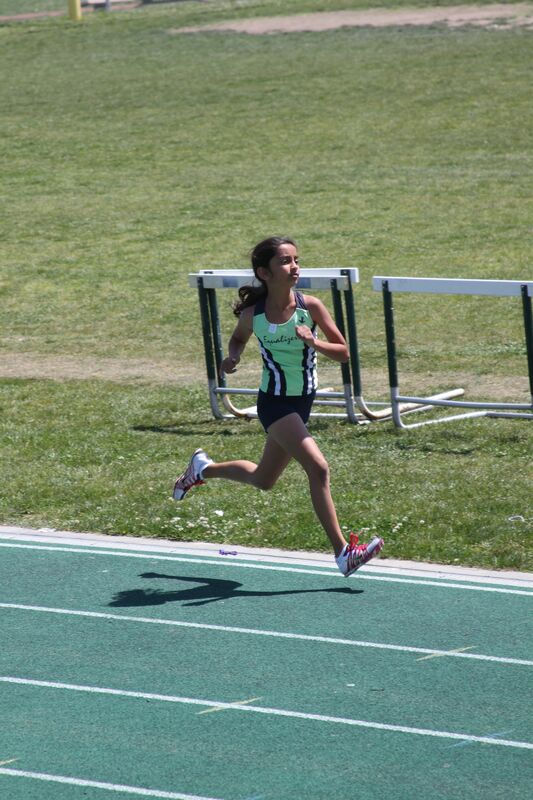 Here she is running in the 1500m race. She improved another 4 seconds just short of the six minute mark to 6:03. Here she is battling one of her team mates. 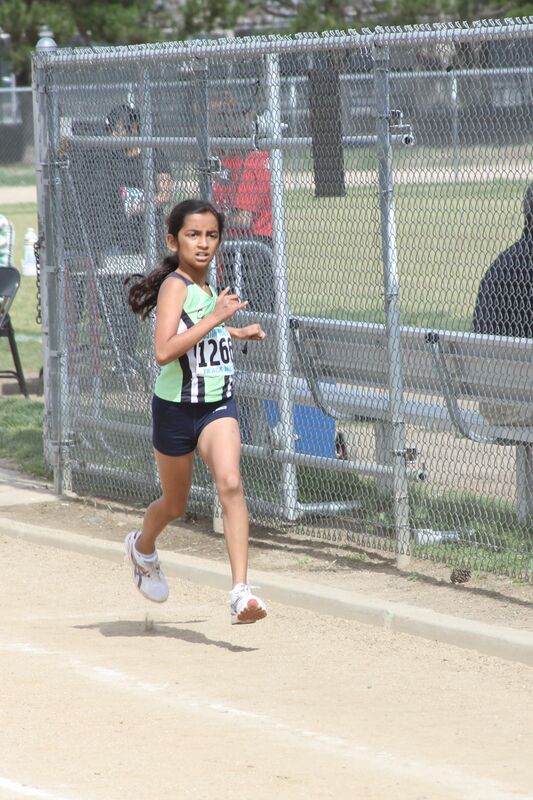 This past Sunday we went to Lomita for the Bay Cities meet. 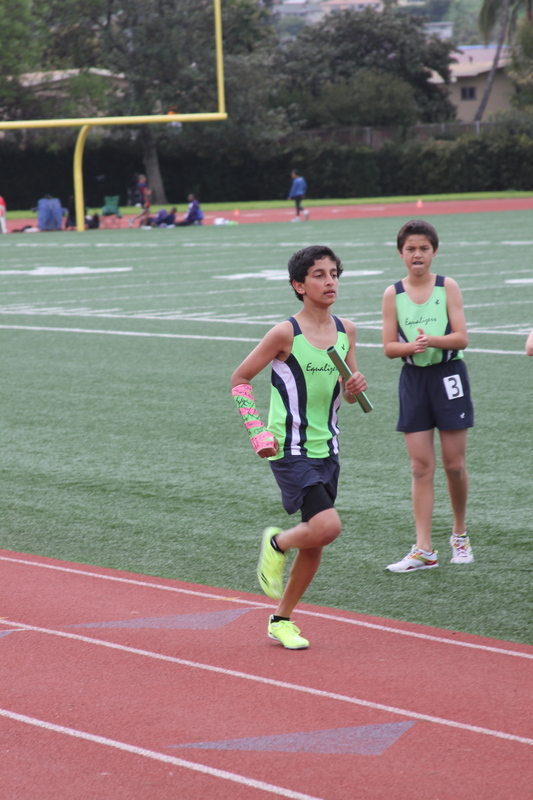 Nikhil and Annika both ran the 1500m and 800m races. Both of them PR’d. 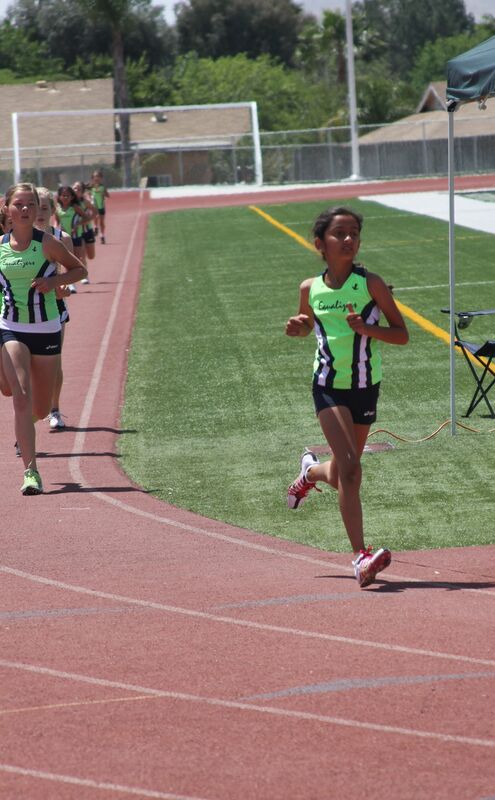 Annika lowered her time in the 1500m to a 6:07 (just missing the 6 minute mark). 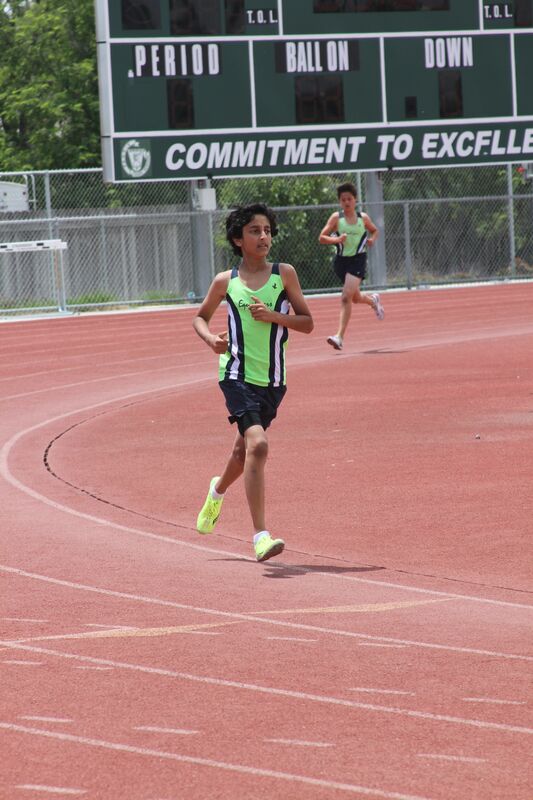 Nikhil lowered his time in the 1500m to a 5:14. 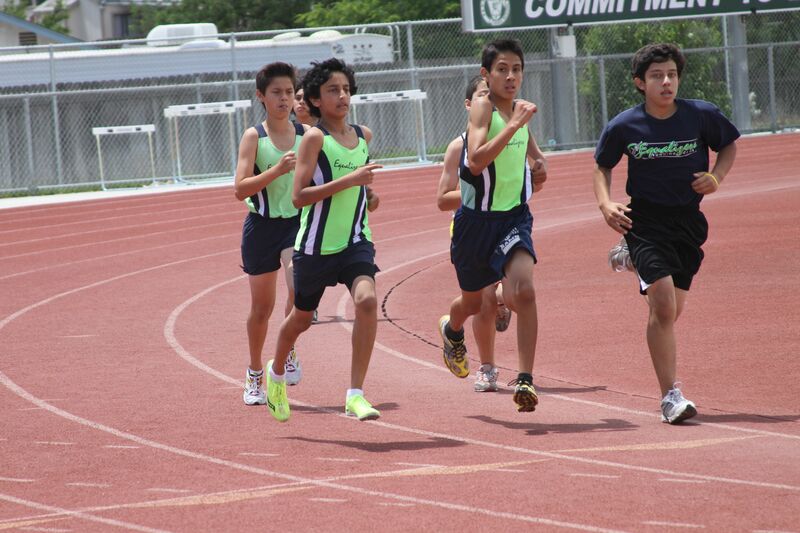 The 800m races were about three hours later in the hot sun. I think the heat wilted their performance late in the afternoon as neither was able to beat their PR’s. Last Sunday were the city finals for Nikhil and Annika. 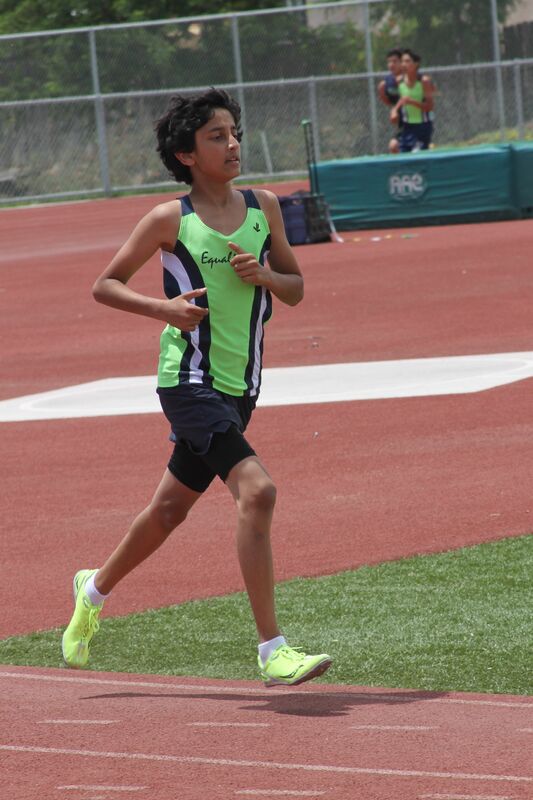 Nikhil ran the 1600m and 400m races. 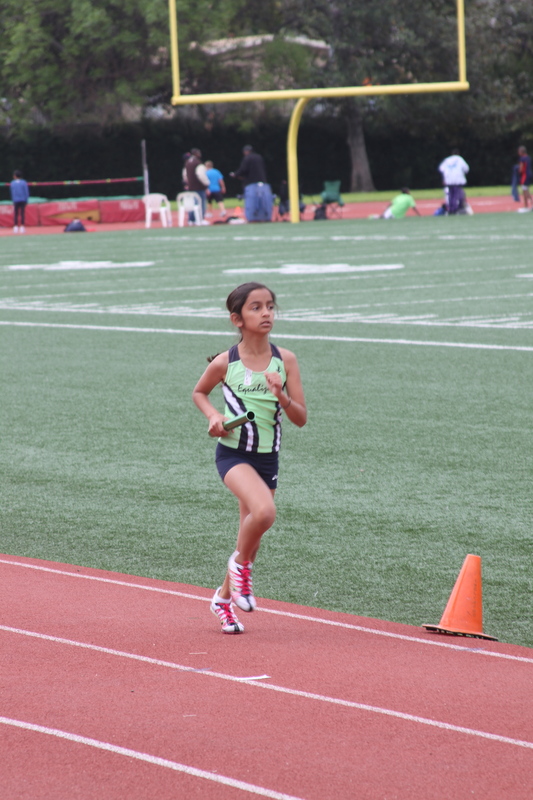 Annika ran the 800m and 400m races. Both of them qualified for the next round at the county meet coming up in May. I might add that the picture quality has improved with my new camera. I’m getting better at capturing these high speed images. What do you think? ps. These were shot at a shutter speed of 640 and aperture of f/6.3. The full res originals are a lot better than the reduced jpegs on WordPress. 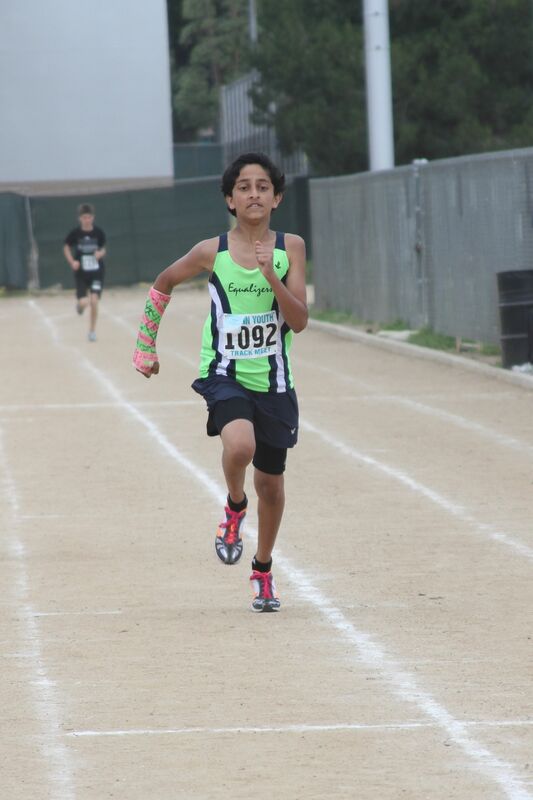 Last Friday, Nikhil participated in the Mount Sac middle school races. Vikram was the official school photographer. 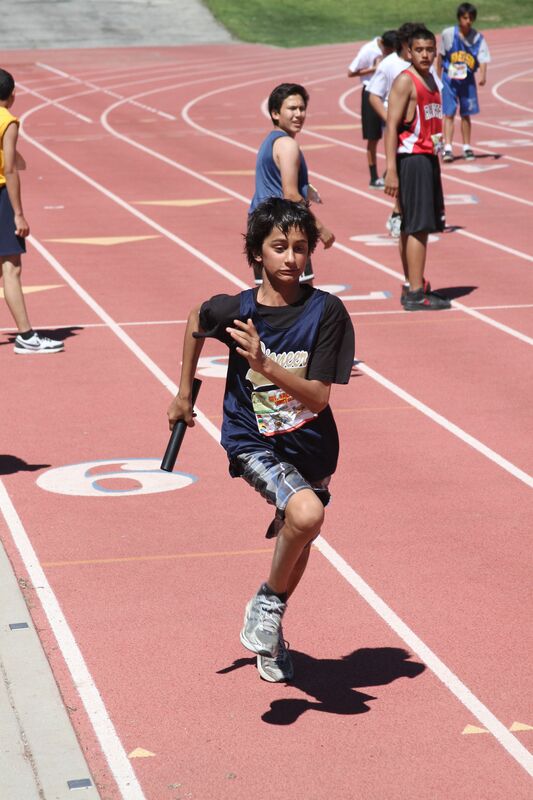 When the team was one short in the 4x200m relays, Vikram pitched in and ran a leg of the race! 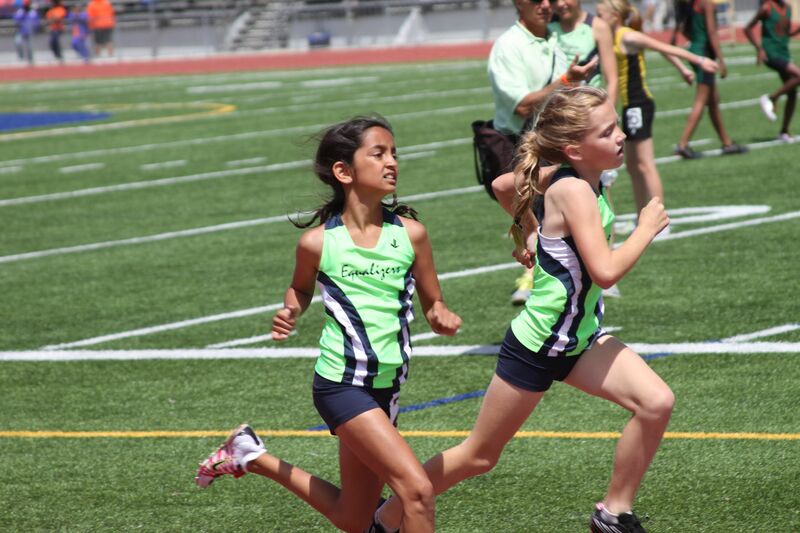 Yesterday, Annika and Nikhil raced up in Los Angeles at the LA Jets track near Culver City. This was about an hour drive from our house. 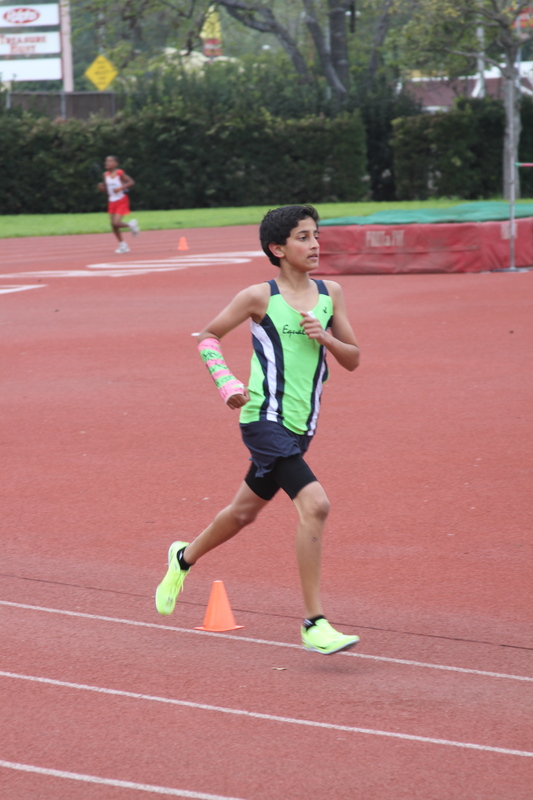 The track facility was very nice and the organization was the best of the season so far – all the events started promptly with no technical issues. Not often the case. 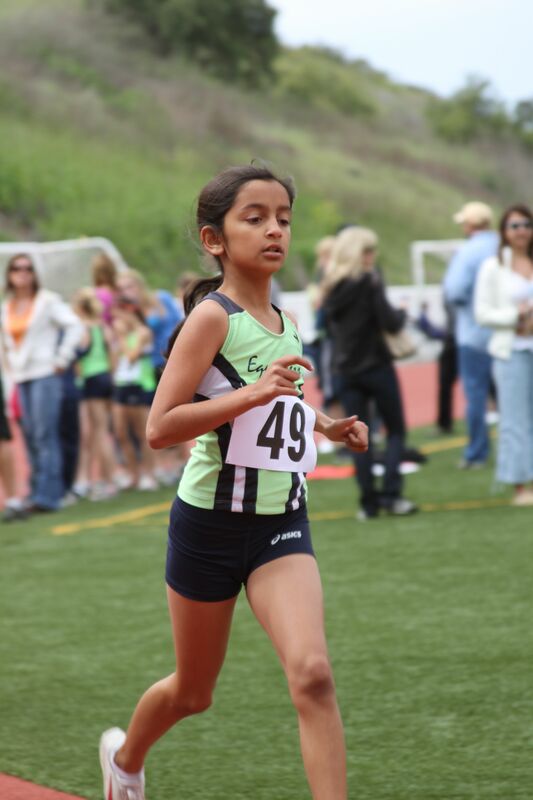 Annika started off with the 1500m and PR’d down to a 6:28. Here she is pacing her group. 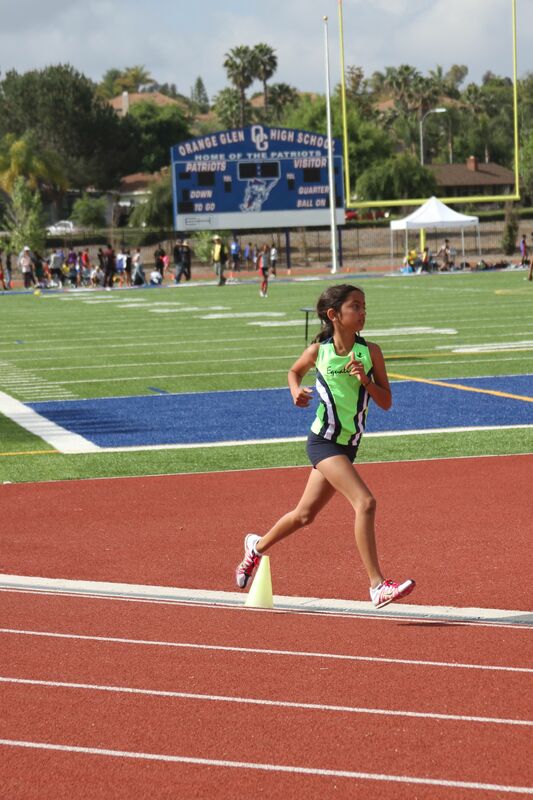 She also ran her first 4×800. 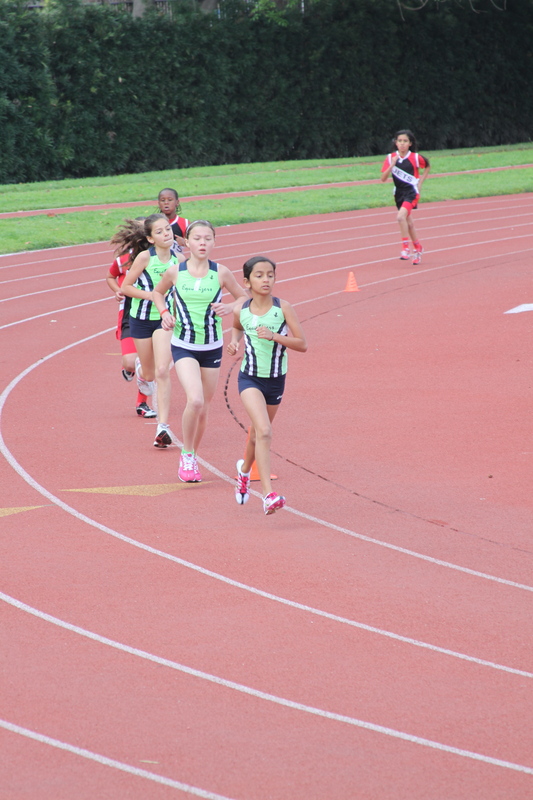 Here she is with the baton in hand running the anchor leg. 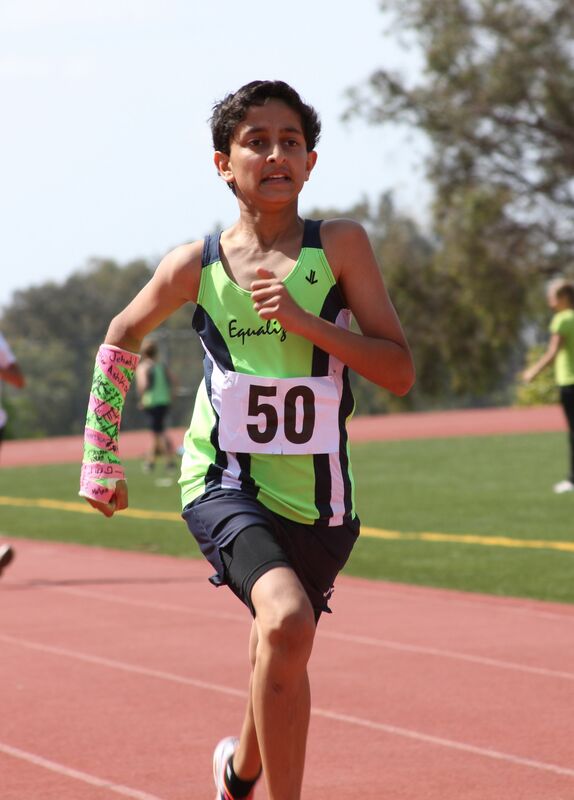 Nikhil ran the same events and also improved on his times from last weekend. 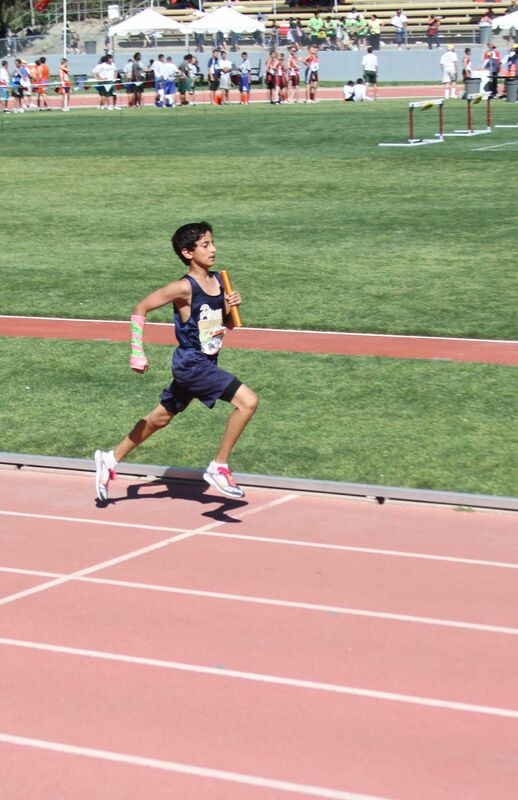 Here is Nikhil running the lead off leg in the 4x800m run. 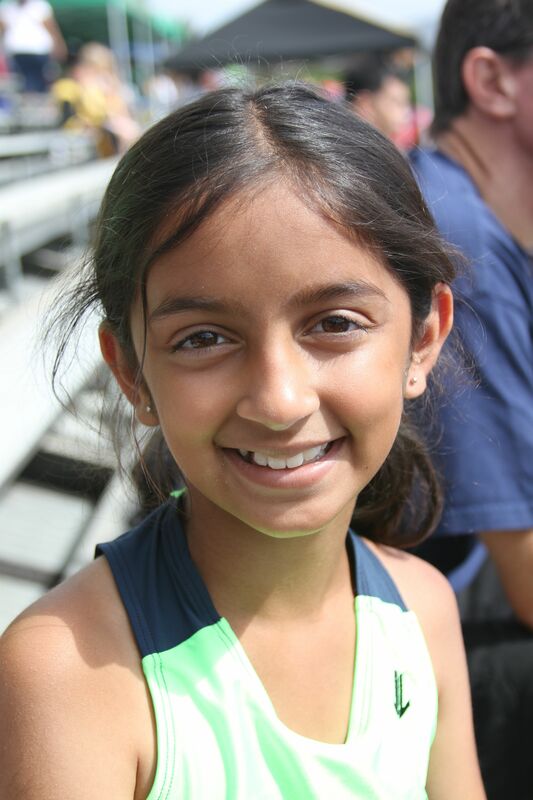 Last weekend, Annika and Nikhil ran their first track meet of the season at Concordia University. Annika picked up right where she left off last season and PR’d in both her 400m and 800m events with a 1:20 and 3:00 flat. 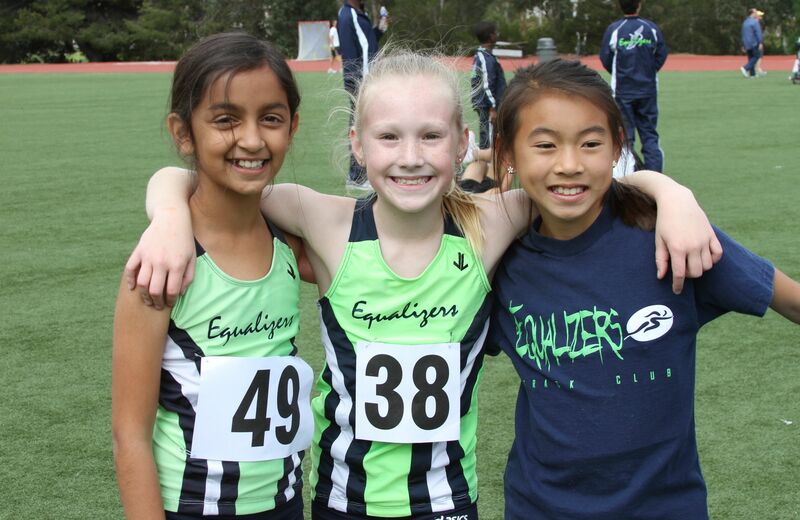 Here she is after her races with her girls. 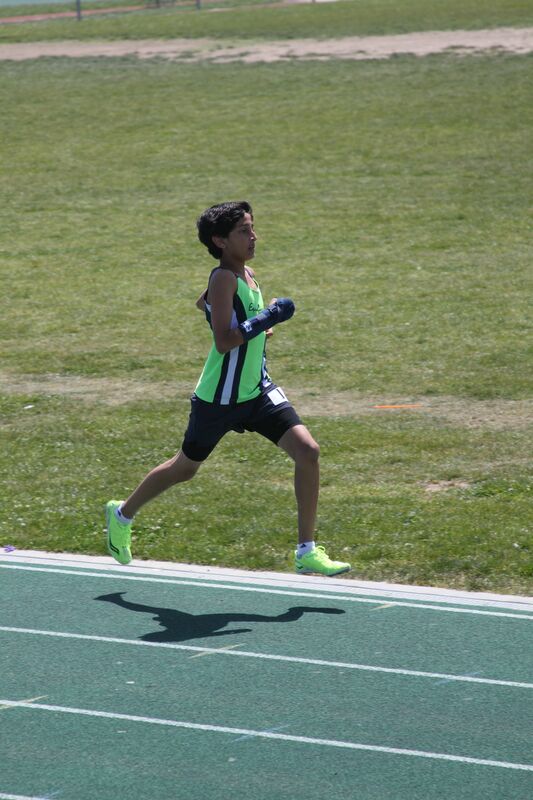 Nikhil also posted a good time nearing his PR with a 5:44 in the 1600m and a 1:08 in the 400m. 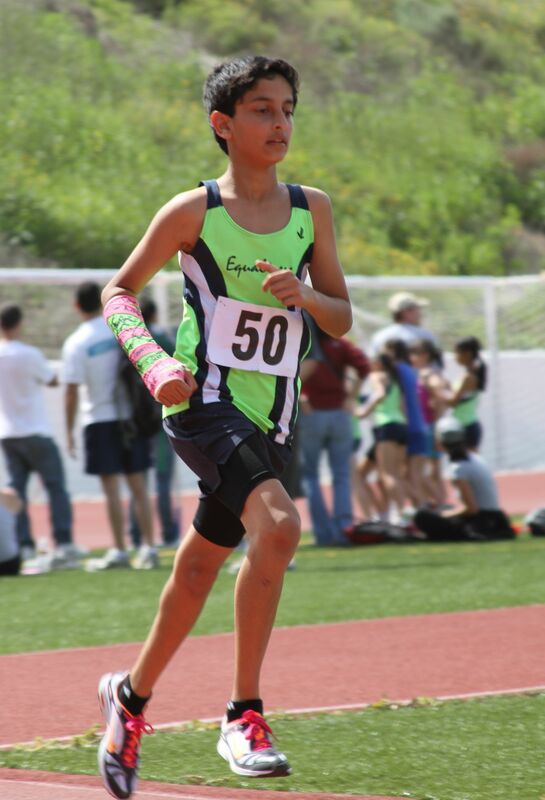 He has two more weeks until he is free from his cast. Check out the intensity here!